Celebrating the heritage of world-class wines. I guided the team at FiveStone in collaboration with Marq Energie, a boutique trade consulting firm that specializes in bringing food and wine to American markets. This narrative and social strategy was crafted for two unique European grape-growing regions: the popular rosé wines of Provençal France and the bold but relatively unknown wines of the Tejo River Valley in Portugal. I produced a communications toolkit to highlight the unique cultures and storied histories of each region to promote these world-class wines to American consumers. Simply Iconic: Bring home a bottle of Rosé tonight. The Wines of Provence have been immensely popular with American connoisseurs, and Provençal Rosé has grown by leaps and bounds as the unofficial drink of summer. And it’s no wonder why: dry Rosé from this Mediterranean region is considered the gold standard in taste and quality, head and shoulders above similar wines from California and other parts of France. It’s crisp and cool like a white with the friendly character of a red. So how do you convince the young and sophisticated to enjoy this trendy wine all year round? I crafted a narrative for social channels that showcased rosé as a versatile, food-friendly pairing for any season and celebrated a Provençal lifestyle that values quality time around the table, outdoor communal living, and a rich heritage that spans the centuries. This is Tejo: Cheers to adventure. How do you introduce one of the oldest and highly regarded wine regions to millennial audiences in the United States who barely know anything about Portugal? I had the honor of launching the Wines of Tejo onto a world stage, tapping into Portuguese attitudes, rich local traditions, and the rugged landscapes and gorgeous architecture of this vibrant river valley. Portugal is known for generations of world explorers and local winemakers, a spirit of discovery, and an independent ethos unlike anywhere else on the continent, I wrote a narrative that invited adventurous gourmands and wine enthusiasts to explore this surprising combination of old world history and modern thinking as they savor a glass of Tejo's lauded reds and whites that are "defined by a river and refined by tradition." I identified target American audiences for each of Marq Energie's wine regions, conducted a thorough cultural review, and defined the messaging and voice for each campaign, based on their belief systems, unique cultural contexts, and an imaginative future for both Provence and Tejo wines. Each brand was activated across Instagram, Twitter, and Facebook, successfully increasing social engagement and reach by over 300% in six months. Provence channels were strengthened across all demographics, leading to the best year for Rosé in the United States to date. 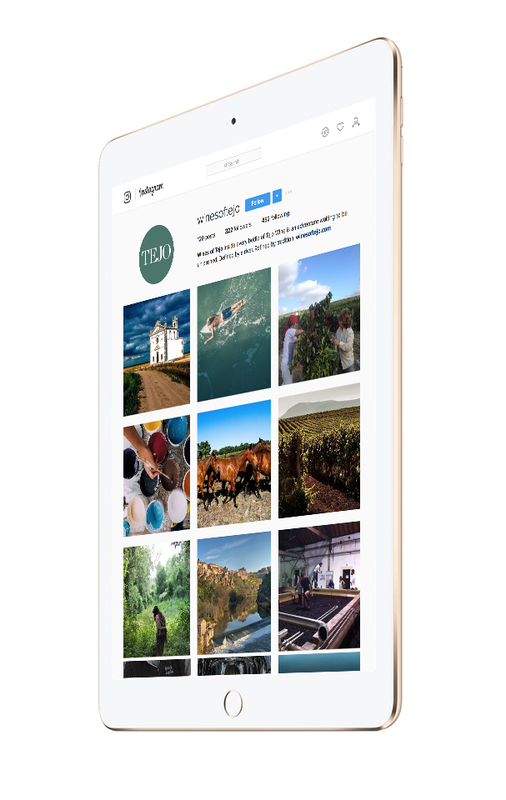 The channels for Wines of Tejo had significant growth from day one, especially with millennial enthusiasts in cosmopolitan cities who will help make Tejo wines a household name.